I am guilty of abandoning my blog a little lately. My camera has been off to get mended, the camera wasn't reading the CF card. It's back now and I am £220 lighter. A blog shouldn't need photographs, but I found it harder to get motivated to write posts without them. It is also a busy time of year with barn owl boxes to check. Last night we decided, a bit on the spur of the moment, to try a storm petrel ringing session. The weather forecast looked a bit dicey all day, but a quick check at 9.30pm when the wine/ringing decision needed to be made, showed that the showers had cleared and the wind was going to be light. 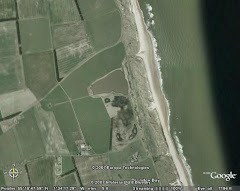 So, by 10.30 we were all set up on the beach, but it was still quite light in the western sky. By 11.30pm it was dark and we caught our first storm petrel at 11.45. We caught three more before 1.30am, when I was ringing the last of these, Janet returned from the nets with a 'bigger bird'. The bigger bird was a Leach's Petrel. It was already ringed so it will be really interesting to see it's history. They are much bigger than stormies - almost twice the weight, there is certainly no mistaking them. This is our third year of petrel ringing at Druridge and we've caught storm petrel on every occasion but this was our first ever Leach's. I've never seen this species anywhere so it was great to have a close look at one. 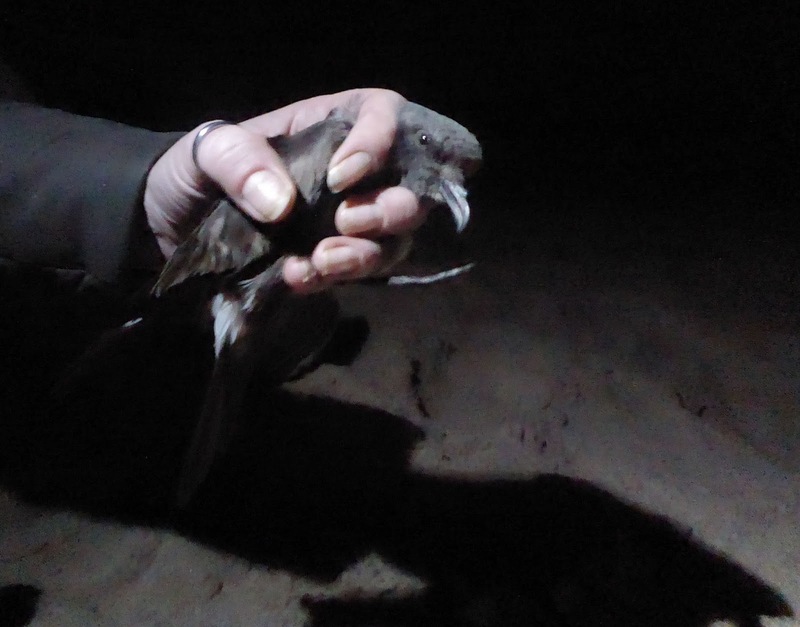 We caught another two storm petrels, bringing the total to six, before we packed up 2.30am. Whilst we were ringing the last two, we had Leach's petrel calling over our heads and over the net. Hopefully we will be able to have a few more sessions before the end of the summer.